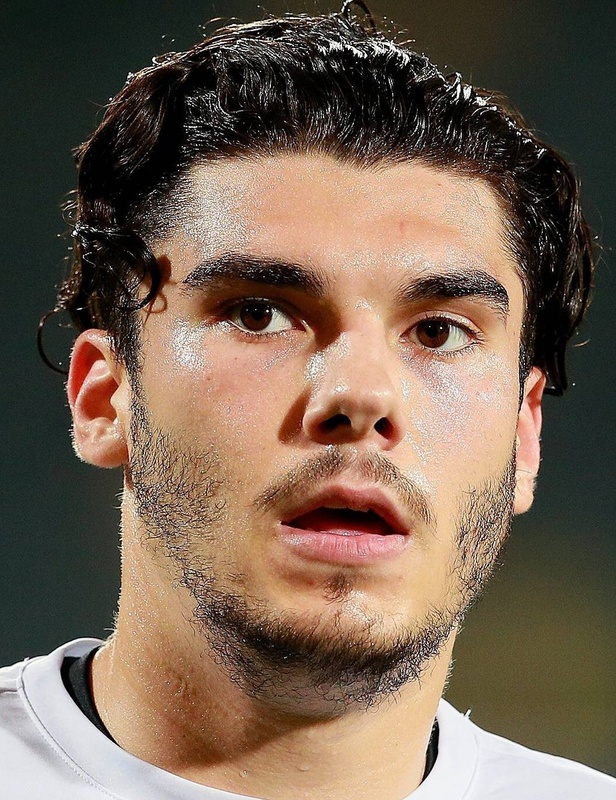 Mihai Alexandru Roman plays the position Forward, is 26 years old and 190cm tall, weights 78kg. In the current club Botosani played 1 seasons, during this time he played 30 matches and scored 5 goals. 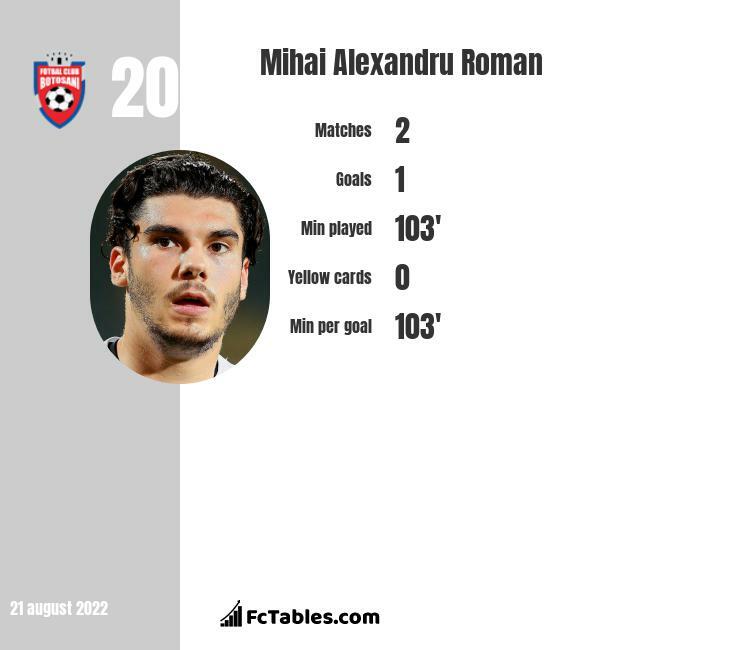 How many goals has Mihai Alexandru Roman scored this season? In the current season Mihai Alexandru Roman scored 5 goals. In the club he scored 5 goals ( Liga I). Mihai Alexandru Roman this seasons has also noted 2 assists, played 3156 minutes, with 23 times he played game in first line. 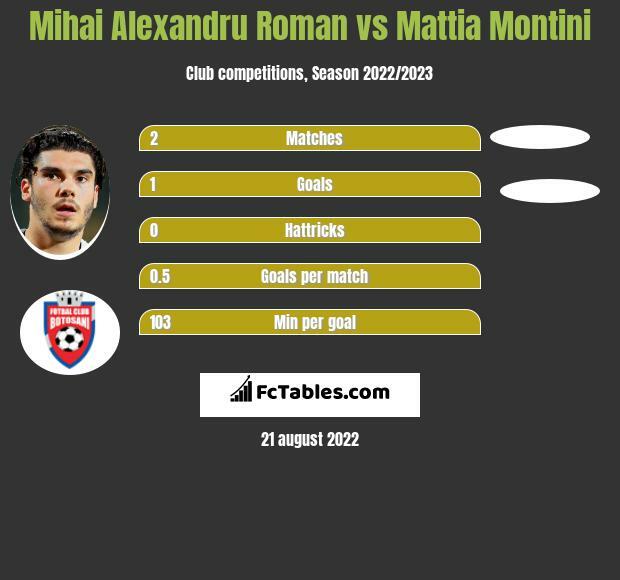 Mihai Alexandru Roman shots an average of 0.17 goals per game in club competitions.